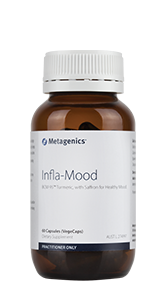 • Assist healthy thyroid gland health and function. 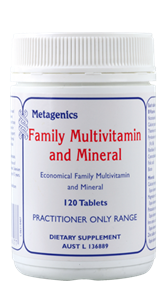 • Support pregnancy health, and development of baby’s brain and central nervous system during breastfeeding. The thyroid gland contains 80% of the body’s iodine pool. Iodine plays a role in the synthesis of thyroid hormones such as T3 (triiodothyronine) and T4 (thyroxine). Release of T3 and T4 influences thyroid function via a negative feedback loop mechanism involving the hypothalamus, pituitary gland and thyroid gland. 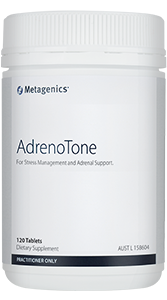 T3 and T4 have been shown to assist with regulation of growth and development, metabolism including cellular energy production and oxygen consumption and reproduction. 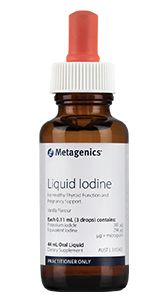 Iodine has shown to be an integral component of thyroid T4. Iodine deficiency is understood to be particularly damaging to the developing brain. Maternal iodine status is important, particularly as infants rely on breast or formula milk for iodine supply. Research has found mainland Australian children (between ages 8 and 10) are borderline iodine deficient. Adults are also at risk of iodine deficiency as evidenced by a 2011-12 National Health Measures Survey which concluded that 12.8% of Australian adults are iodine deficient. Adequate iodine and healthy functioning of the maternal and foetal thyroid glands play a critical role in foetal neuropsycho-intellectual development. Iodine plays a role in neuronal migration and myelination, which peak in the second trimester and the early neonatal period. Australian based research screened 802 pregnant women for iodine deficiency. 48.4% of Australian Caucasian women had urinary iodine concentrations (UIC) below 50 μg/L, compared to 38.4% of Vietnamese women and 40.8% of Indian and Sri Lankan women. Free from animal products, corn, dairy protein, lactose, eggs, gluten, wheat, nuts, yeast, soy protein, starches and salt. Free from artificial colours and flavours. Contains ethanol.